The Fun Book is a unique Applied Behavior Analysis inspired program for special needs children that combines learning with engagement and motivation. 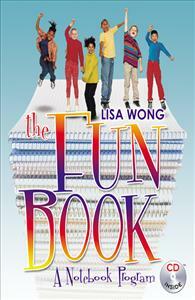 The Fun Book program is an easy to use, adaptable, take anywhere resource that grows with each child. The accompanying CD provides print ready pages for simple assembly. So get ready for fun with The Fun Book!